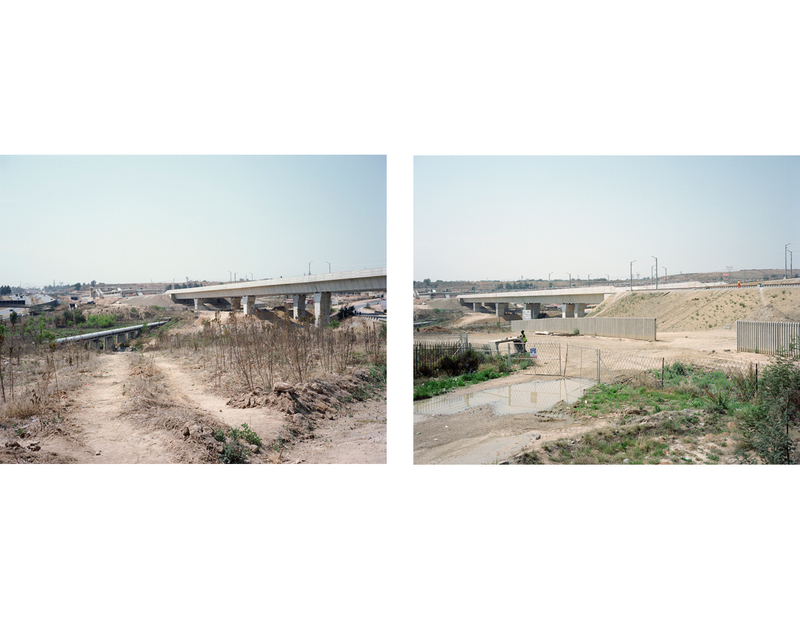 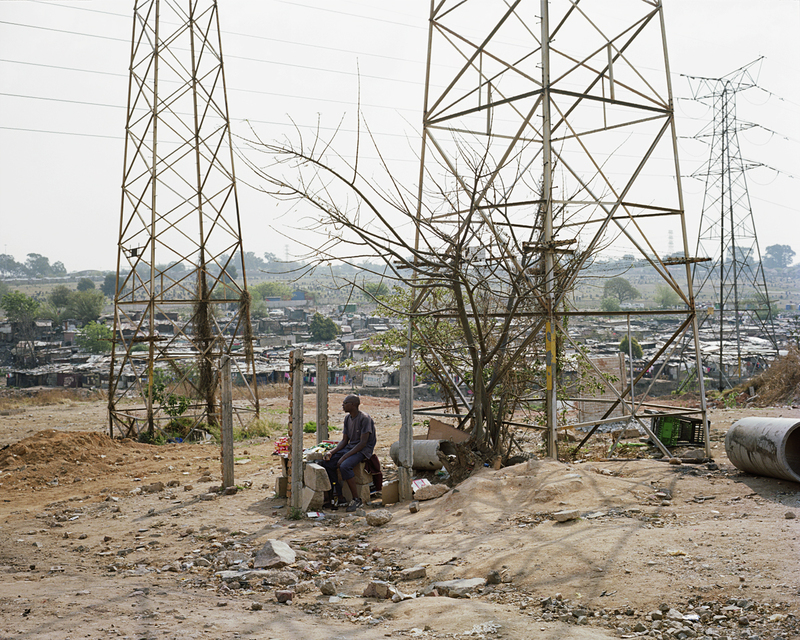 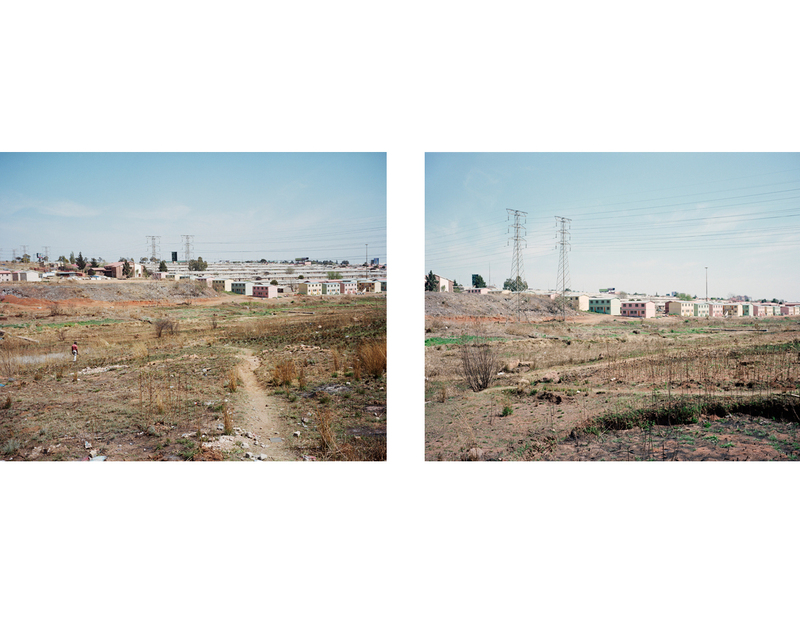 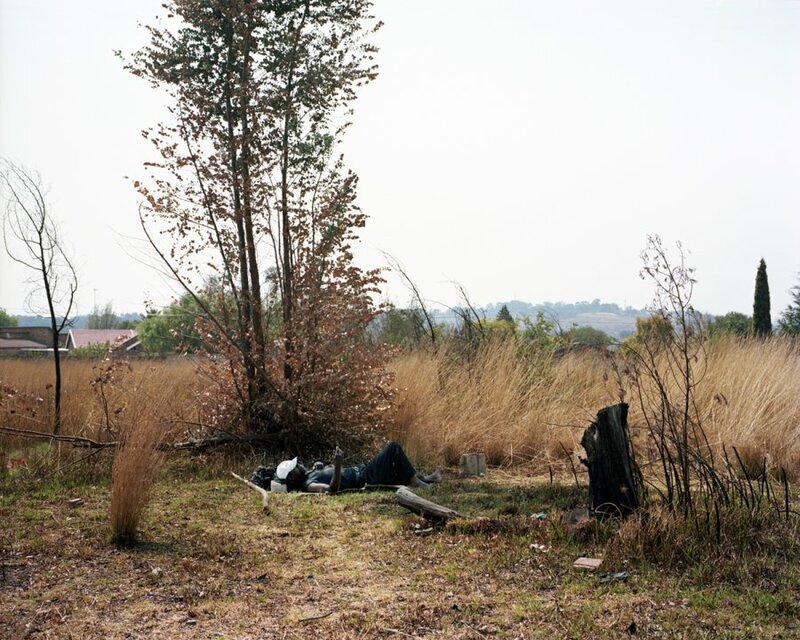 In & Out explores the periphery around Johannesburg where urban transformations are taking place. 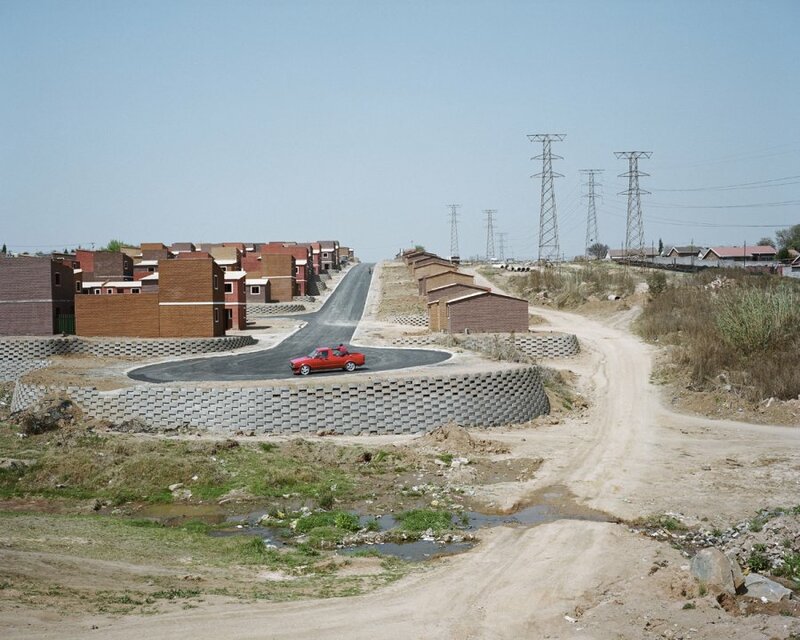 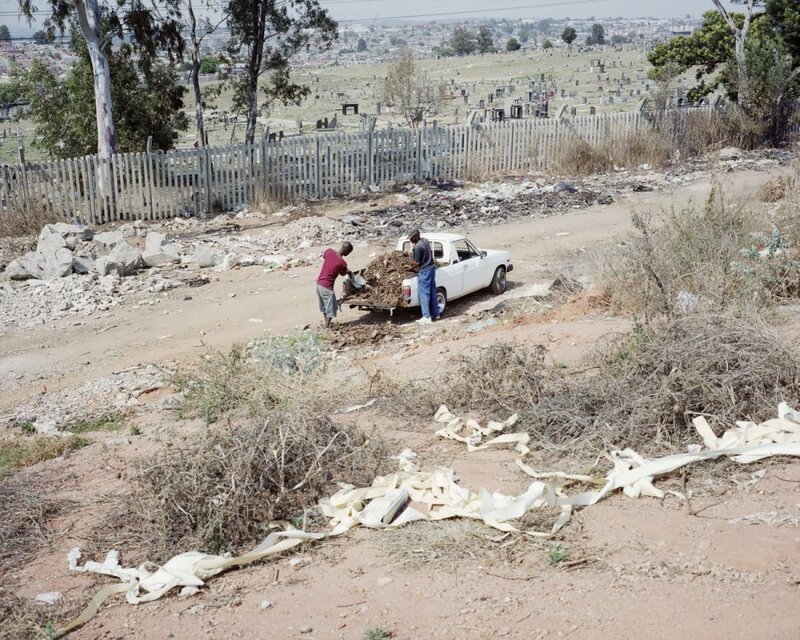 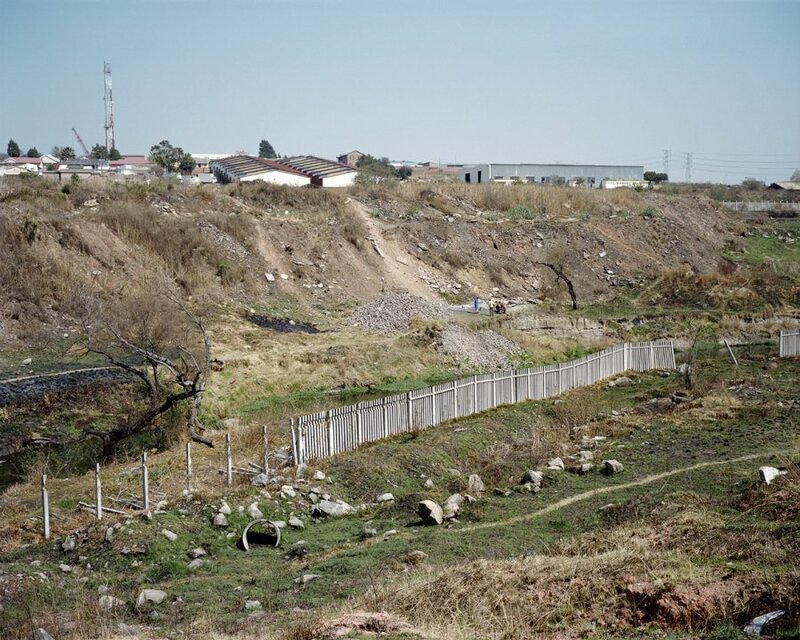 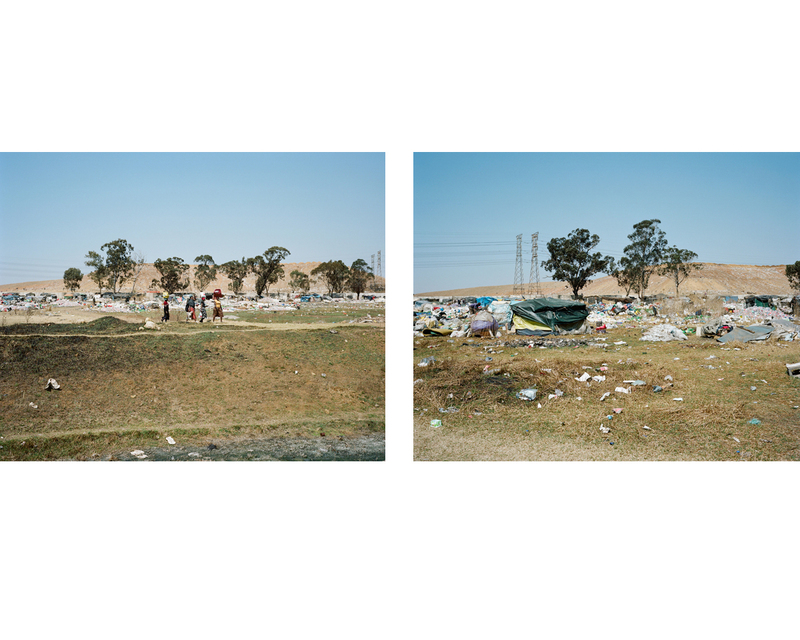 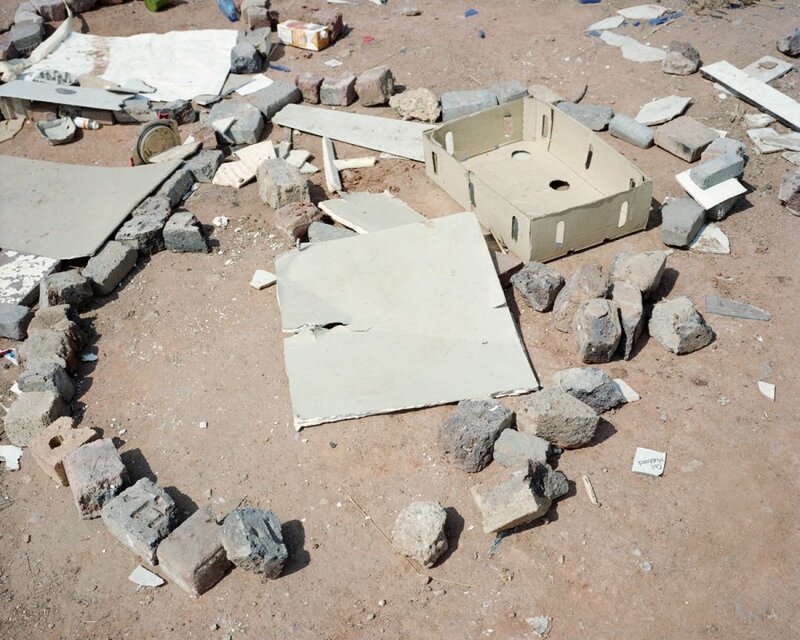 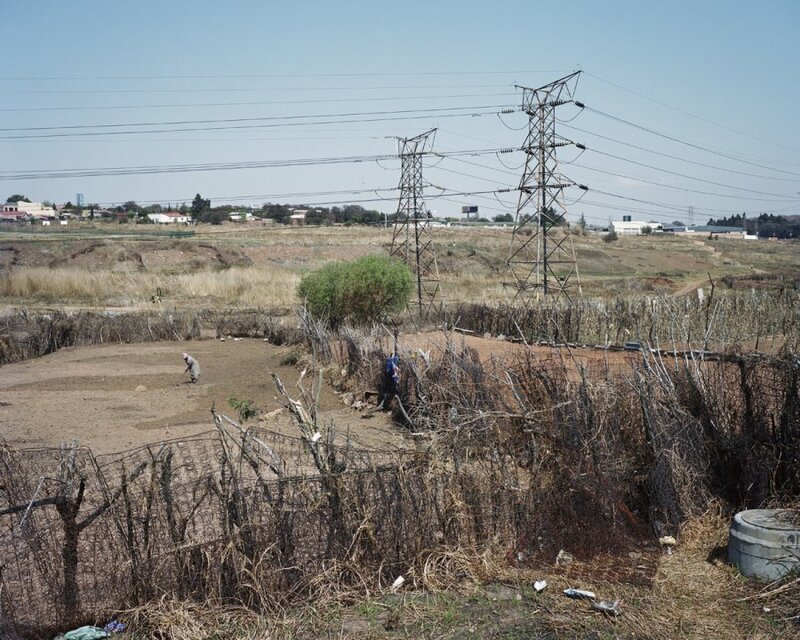 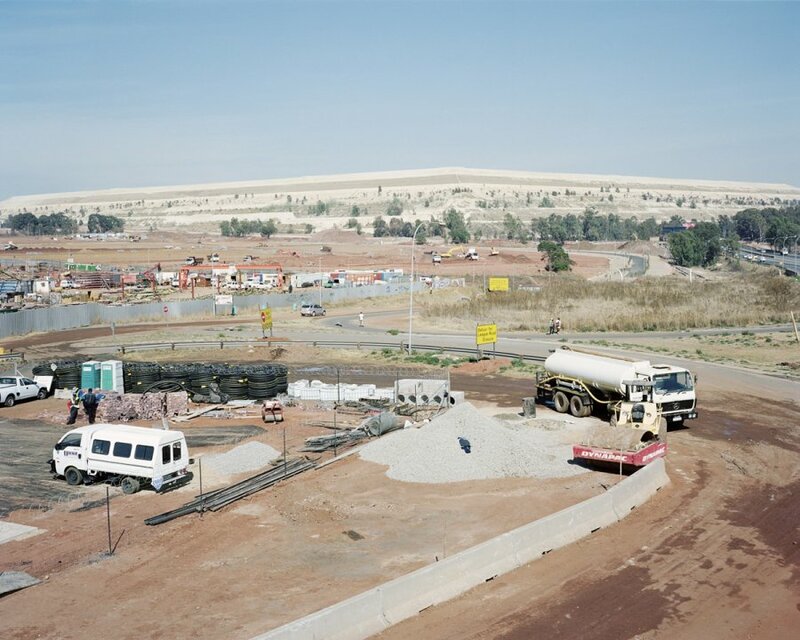 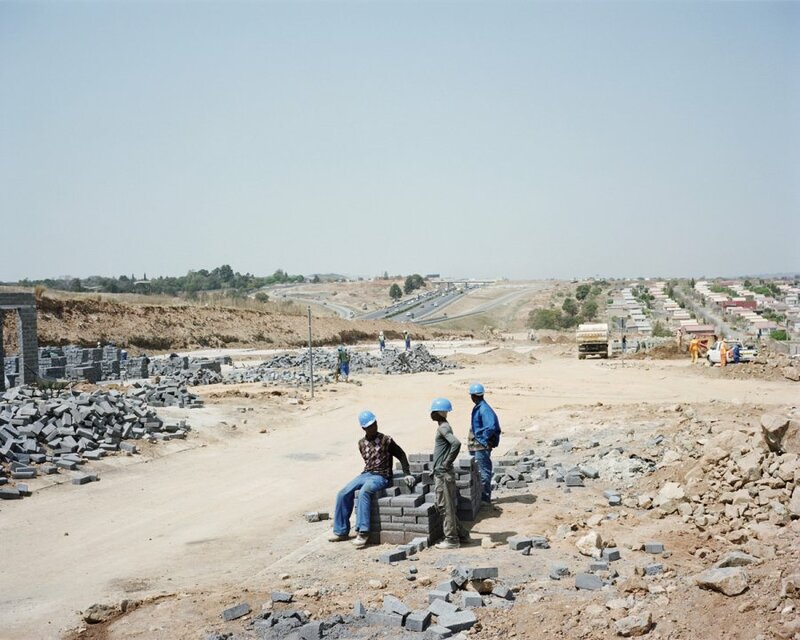 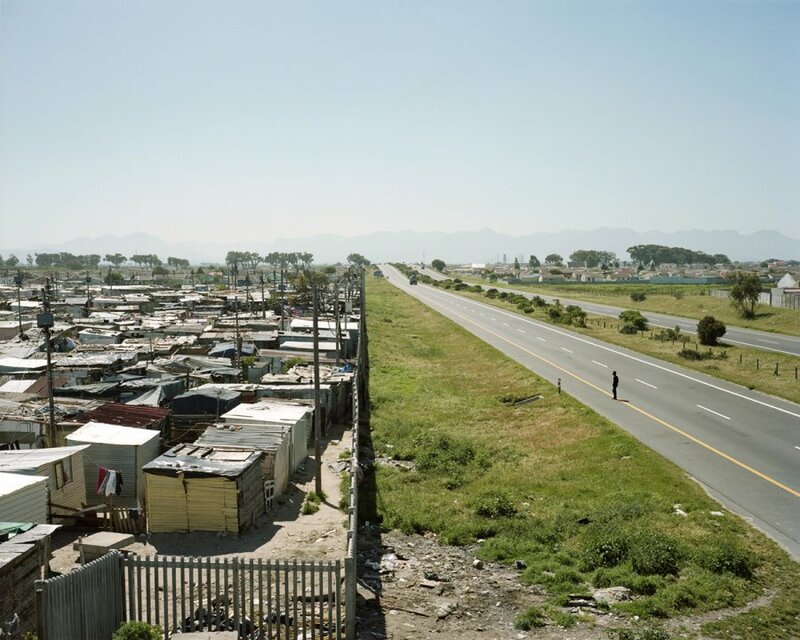 Half-empty or vacant spaces, buffer zones, building sites, mining leftovers, townships and squatters camps, gates and walls, create landscapes made of many layers and complexities. 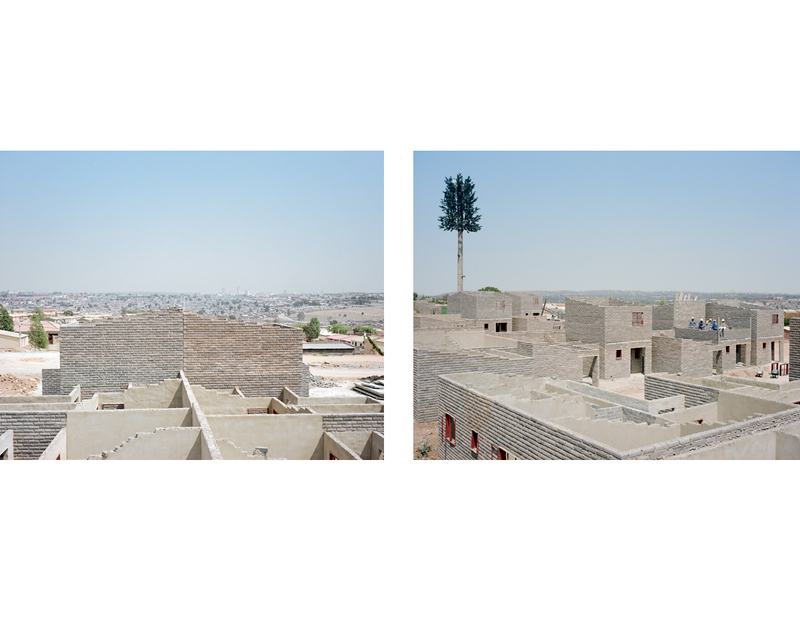 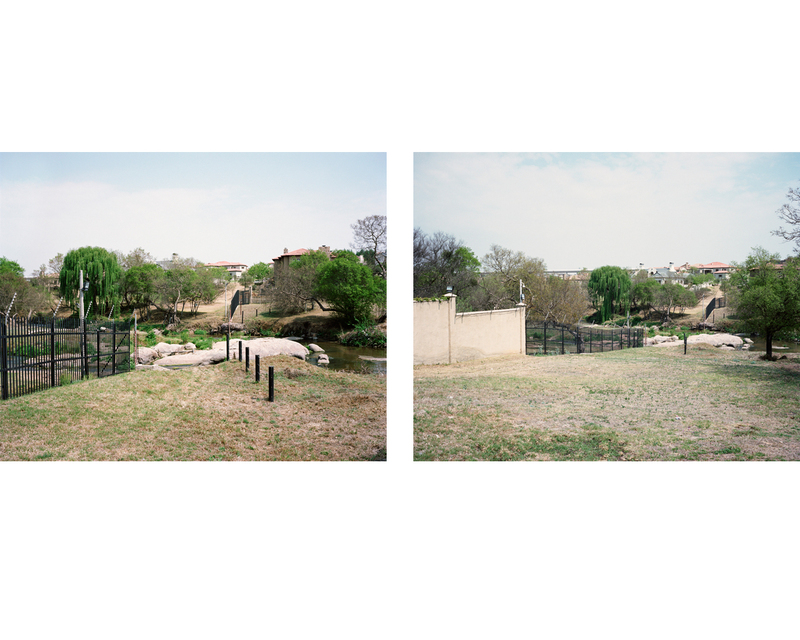 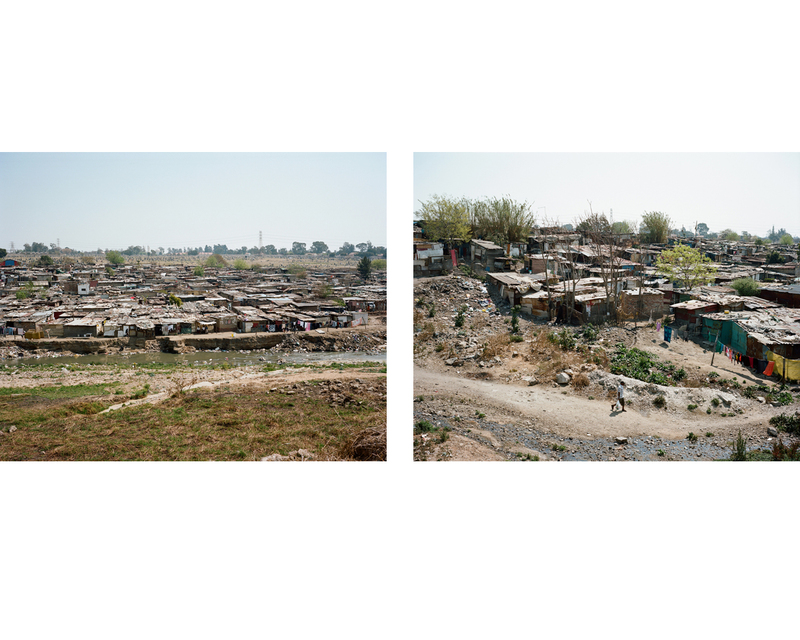 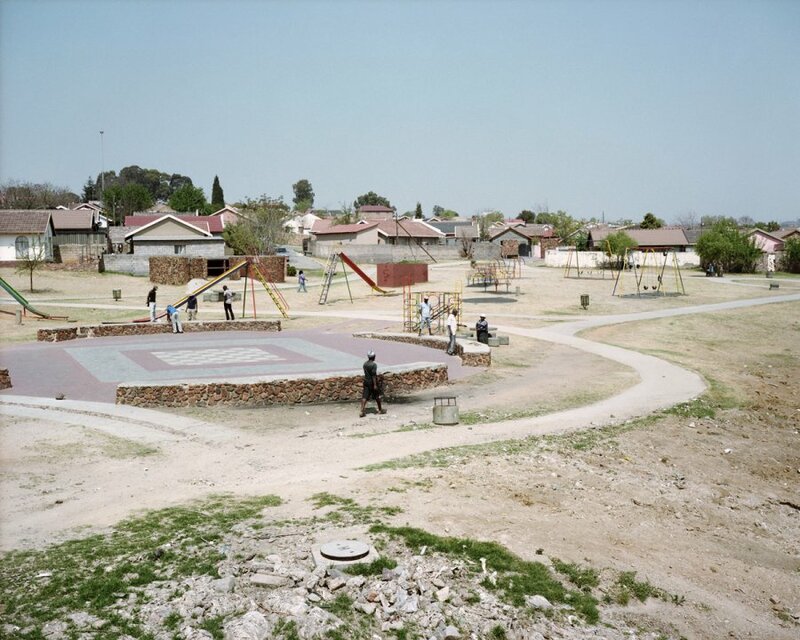 In single images or diptychs, large views or fragments, these South African vistas speak of a place of changes as well as remains of a recent past. 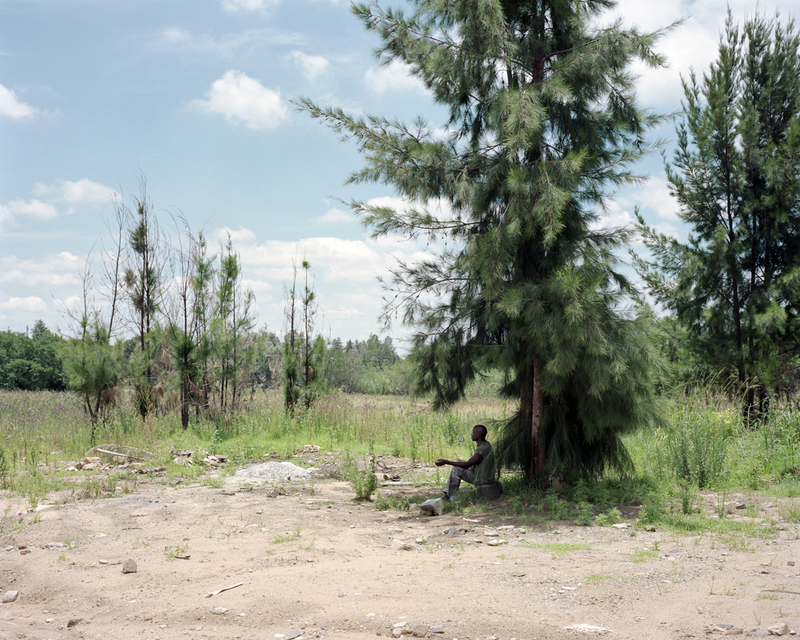 Figures appear in these semi-urban, semi-natural landscapes, occupying the space, transforming it as well as questioning it. 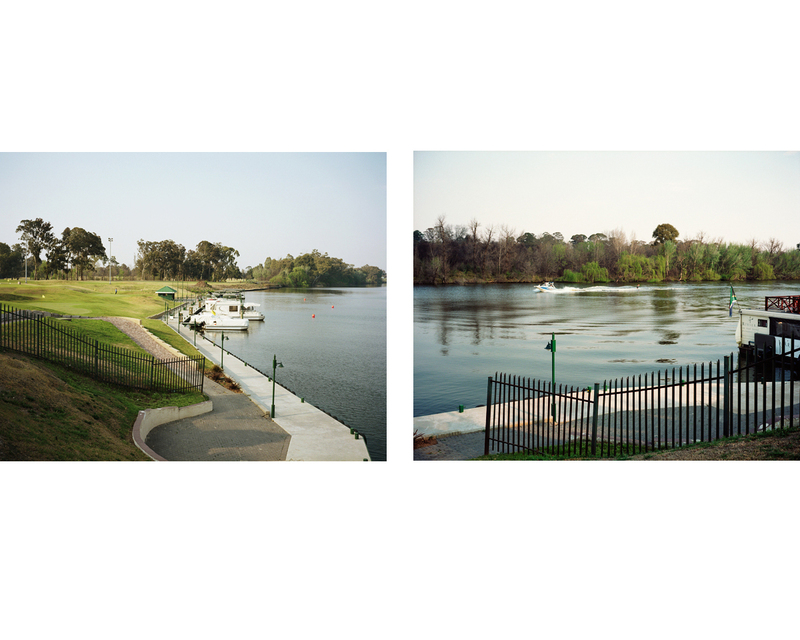 What is transforming and from which point of view? 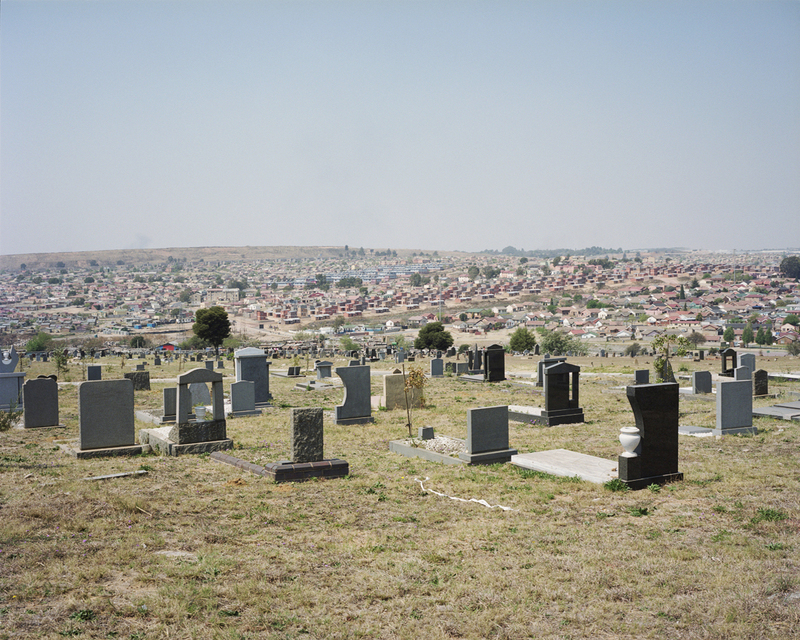 Where do I stand as a photographer in a land where every landscape is political?